Back in October I fell in love with the cover artwork of the new anthology published by Undertow Books, “Aickamn’s Heirs”. Of course, I was already in love with Yaroslav Gerzhedovich’s works so that might have helped a little. 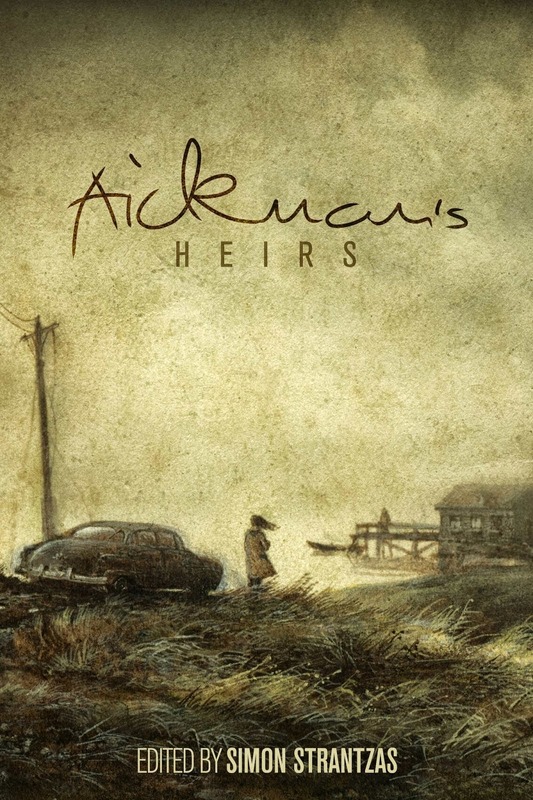 I mentioned then that I am unfamiliar with Robert Aickman’s writing and although this situation didn’t change in the meantime (I ordered the new editions of his four short stories collections released by Faber & Faber however) my interest in “Aickman’s Heirs” keeps burning. Not only because of that haunting, beautiful cover artwork, but also because of the presence on the table of contents of some of my favorite writers, such as Lynda E. Rucker, Helen Marshall or John Langan. Coming Spring of 2015, Aickman’s Heirs, edited by Simon Strantzas, an anthology of strange, weird tales by modern masters of weird fiction, in the milieu of Robert Aickman, the master of strange and ambiguous stories. Editor and author Strantzas, an important figure in Weird fiction, has been hailed as the heir to Aickman’s oeuvre, and is ideally suited to edit this exciting volume.